Category: Complementary Therapies Tags: chronic fatigue, fibromyalgia, homeopathic, me, natural recovery, natural remedies, naturopathic medicine. Are you among the estimated one-in-twenty people suffering with chronic fatigue syndrome, ME or fibromyalgia? Have you tried everything without achieving any satisfactory results? Alison Adams says, ‘I hear that a lot and I always explain that they can’t have tried what I am suggesting.’ Here she offers a natural recovery plan that will show you how to reclaim your life and your health. Alison Adams suffered many years of chronic illness. Realizing that the conventional medical approach offered no real solutions to her condition, she began retraining in naturopathic medicine. Alison finally recovered her health using the natural approaches that she discovered, and she shares them with us in this revolutionary book. Alison’s Natural Recovery Plan clearly identifies the primary causes of these disorders, many of which stem from medical and dental practices endured by the average person from infancy. Clear step-by-step instructions demonstrate what needs to be done to enable the level of healing required to recover from these conditions through diet, natural supplements and, where necessary, removal of amalgam fillings. 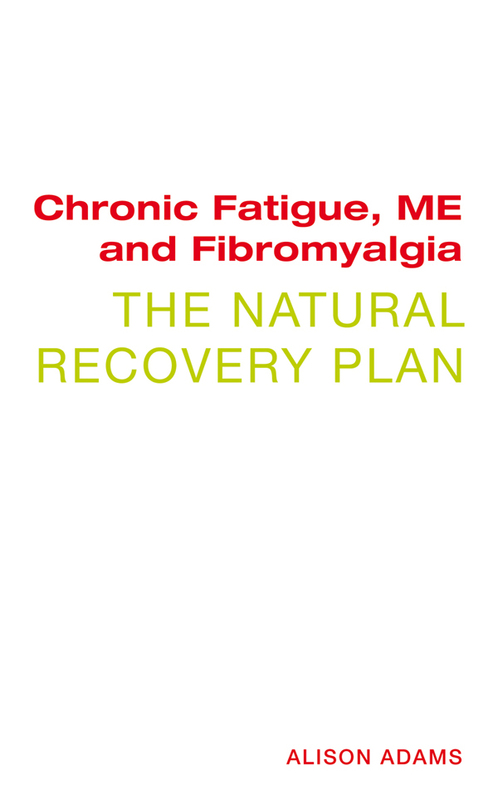 Chronic Fatigue, ME, and Fibromyalgia is a clear, insightful, informative and sympathetic guide, which provides sufferers with the reassurance they need most – that it’s not their fault, and that through dedication and determination, recovery is possible.